Although everyone should be striving to train smarter instead of harder, this approach becomes increasingly more important as we age. During the aging process, joints deteriorate, hormone levels decline, and the body’s metabolism naturally slows. However, don’t let these issues stand in your way of reaching your bodybuilding goals. By weight training with periodization and less volume, maintaining proper form, and allocating sufficient recovery time you’ll be able to still reach your goals without letting age get in the way. Muscle is metabolic currency. 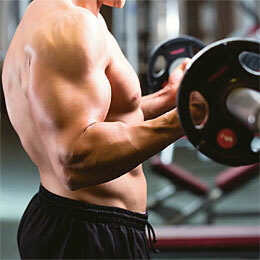 Thus, meaning the more muscle you have the faster your metabolism, or the more calories you burn at rest. How do you effectively build muscle? According to the size principle, the smaller, slow-twitch muscle fibers are recruited first. Progressively larger, fast-twitch muscle fibers are recruited based on the increasing demands of heavier weights. Therefore, meaning heavier weights (that which you can lift for less than 6 reps) require the recruitment of more muscle fibers than lighter weights (that which you can lift for 12 or more reps). However, as you may have already suspected, heavy weights cause more stress on the joints and connective tissues which makes not only form, but periodization increasingly more important as you age. Periodization allows us to train at a high intensity or volume with alternating periods of lower intensity or volume to facilitate recovery and to maximize performance. According to a study published in Journal of Strength and Conditioning Research, periodized programs result in greater strength (1 Rep Max) gains than non-periodized multi-set and single-set programs. As you get older, I recommend that you cut down on the frequency of your heavy weight training sessions for better recovery and for less stress on the connective tissues. Also, if you haven’t already been working out with heavy weights, you’ll need to go through the initial conditioning phase first. No one, not even the youthful, should jump straight into a heavy weight lifting program without adequately allowing the body time to adjust. In addition to periodization, your routine should also include less volume (total exercises and sets) than it did when you were younger. Because recovery is an issue with age, using less volume will allow you to better recover from your intense workouts and will allow you to train more often. As you age, joints and connective tissues naturally begin to deteriorate. Supplementing with glucosamine and chondroitin may help alleviate some pain and deterioration, but maintaining proper form in the weight room is critical when it comes to protecting your joints. Because using bad form such as bouncing, jerking, or hurling with heavy resistance can potentially cause a damaging amount of stress to your connective tissues, you need to be sure to maintain proper form at all times. Proper form ensures the muscles you’re working receive full stress from the exercise performed, and your body is positioned in such a way that your muscles and joints are in the strongest position possible, thereby reducing the risk of training injuries. As we age, it becomes increasingly harder to recover from training injuries so preventing them from happening in the first place is ideal. To help maintain proper form during your workout, try exercising in front of the mirror for self correction, training with an experienced workout partner, or hiring a certified personal trainer. As our bodies age, they become less efficient at repairing/rebuilding damaged tissues partially due to the natural decline of our hormonal levels. This makes the recovery stage an extremely important aspect to your strength training program. During the recovery stage, the body repairs, rebuilds, and strengthens itself. However, recovery is one of the most over-looked parts to a strength training program and without sufficient time to repair and replenish, the body will continue to breakdown from intensive exercise increasing your risk for overuse injuries. As you get older and depending on the volume and intensity of your training, your muscles could take roughly anywhere between 48 – 96 hours to recover so make sure to listen to your body and don’t over-due it. Getting older may affect certain aspects of your exercise training program, but it doesn’t mean you can’t reach your goals. 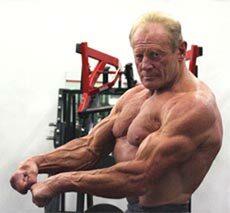 By training smarter instead of harder you can still achieve your bodybuilding goals regardless of age.